In this episode of Agency Advantage, Karl Sakas of Sakas and Company talks about how you can improve your management expertise as a leader inside an agency. At Sakas and Company, Karl helps agencies grow without the usual pains. By working with hundreds of agencies, he has learned that you don’t need to be a great manager to start an agency, but you need to become one if you don’t want everyone to quit. Because becoming a great manager is hard, Karl put together a pocket guide called “Made to Lead”. It streamlines the process of becoming a more effective manager for those leading marketing and creative teams inside agencies. He talks about highlights in his book and much more during my interview with him. Grab the transcript of my interview with Karl. Karl points out that starting an agency requires a shift in mindset and responsibilities. As your agency expands and you start hiring more people, your role needs to change. Suddenly, you’re not spending as much time in Illustrator or Word as you used to, and the focus of your job is more on the nitty gritty work of management. You need to ensure tasks get done on time by the right people and attract the best talent in your industry to work for you. Moving into a management role can sneak up on you, but Karl argues that if your goal is to start an agency, you need to plan for this change. You can’t have your hands on every piece of work and be a manager. You need to to step back and let your team do their thing. Karl understands that moving away from the work you love, like designing or writing, can be painful at first. So he says to allow yourself to grieve but not to try and shove yourself back into a role that’s too small for you. 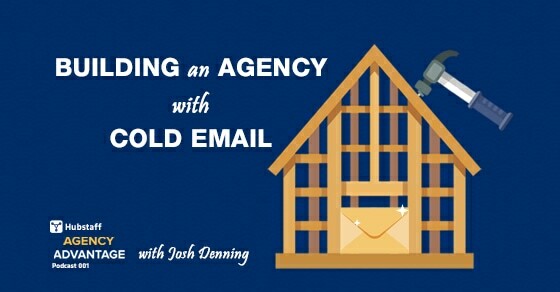 If you can’t bear to move away from the base level work, you should reconsider starting an agency. According to Karl, a manager’s main goal is getting results through other people, which starts with hiring. And there are two main routes here. You can either 1) hire inexperienced people with promise and train them from the ground up, or 2) you can “steal” people who are already leading lights in the industry. The former is cheaper, but it takes a lot of time and effort. As a manager you need to make sure you have the ability to help your employees get to where they need to be. The latter is more expensive upfront but requires less investment of your time. Either way, you must create goals for your employees. Understand where they want to be in their career — and where you need them to be — and help them get there through working for you. For Karl, every agency’s inventory is ultimately their team’s time. Therefore, you need to find ways to weed out inefficiencies. Take meetings, for example. Every minute you spend in a meeting that isn’t necessary is a minute that could have been billed to a customer. If you’re not running meetings well, you’ve not only wasted your team’s time, but you’ve cost your agency money. Luckily, Karl has several suggestions to make meetings more efficient. First, plan ahead. Think about what you could do outside the meeting. Are you bringing up a problem that’s only an issue for a handful of employees? Consider talking with them face to face instead of addressing it in the meeting. Next, make employees come prepared. Have everyone write up where they’re at in a document that everyone can review before the meeting. Then the focus can be on actionable items and issues that need to be resolved. Finally, make sure you have an agenda and enforce it. It’s important for employees to have some time to catch up at the beginning of a meeting, but be sure to bring everything back to the agenda. Don’t be afraid to rein in conversations that are going too long or are between only two or three employees. Karl reiterates the need to shift your focus as you become a manager. Yes, you might be able to finish a project faster than one of your employees, but it’s not your job. Your job is to teach your team to work without you. In addition, make sure your team knows how to handle customer interactions. Remind them to build padding into work estimates. That way, a project is never delivered late, and sometimes it comes in early. Also pay attention to what your employees need to work more efficiently. As a silly example, if they’re constantly asking you what time it is, install a clock in their office. Make yourself needed for larger problems, but not necessary for the day-to-day operations. Andy Baldacci: Karl, thanks so much for coming on the show. Karl Sakas: Andy, great to be back. Andy Baldacci: I’m excited to be talking to you today. I was looking through, following along with your blog and I saw that you’re putting out a new book, “Made to Lead,” so I really wanted to reach out, talk to you about that. You’ve actually just published this back in November, I think. It’s “Made to Lead: A Pocket Guide to Managing Marketing & Creative Teams.” How did this whole project come about? [00:01:30] Okay. I think that’s a really salient point because so many agency owners are what, the terms I like to use is accidental agency owners. They got into it from free-lancing and slowly as they got more and more clients, they started expanding. They looked around a few years later, they have a team of three to five people and their job has entirely changed in the managing aspect. The managing people is hugely important to the continued success of an agency. In the early days, what was it that when working with clients or just seeing into the agency world, what was it that jumped out at you and made you realize this was such a big issue for agency owners? [00:02:00] Thinking about your concept of accidental agency owners, I would say that a lot of accidental agency owners turn into what I would call reluctant managers. That is, they are managing people, but they don’t really enjoy it and almost they want to kind of deny that they are a manager or a boss. I had a client running an agency with about 10 people or so, and she said that the idea of managing people to her felt gross. She said it felt gross. That’s a challenge because not only did she not like it, it just felt wrong, yet she had people reporting to her. She was a manager, whether she liked it or not. Andy Baldacci: It doesn’t matter how it makes you feel, at a certain point, that is going to become your job. Karl Sakas: Exactly. Certainly if you don’t enjoy it, there are a lot of things you can do to make it easier. One of them certainly is having different short cuts to different tools so that it’s not quite as painful, and that’s where the book comes in. Andy Baldacci: Mm-hmm (affirmative). What is it about managing people that does kind of create so much reluctance in marketing creative p eople in the agency world in that space? Why do you think it is so difficult to manage people? [00:03:00] Everyone’s experience as a manager is different. It comes down to your personality and behavioral preferences. One way to look at it is a concept called warmth and competence. This is a concept that comes from a book called “The Human Brand” by Chris Malone and Susan Fiske. In the book, they look at this idea of warmth and competence. The idea is that warmth is, do you make people feel special? Do you make them feel appreciated? Whether that’s your customers or your employees. Then competence is are you getting the job done? Are you getting results? I found that people tend to skew toward either warmth or competence. There are some people who are really good at both, but people tend to lean one way or the other. [00:04:00] If you’re a manager, for instance, if you’re really good at warmth, everyone likes you. You probably like them. If you’re not focused on competence, you may not be getting results. Everyone has a great time up until the day that you declare bankruptcy. On the flip side, maybe your focus is competence. Everything’s going really smoothly, but no one’s enjoying that. I share in the intro to the book, in “Made to Lead”, my natural tendency is toward the results side, towards competence. In a 360 review several years ago, the feedback I got from past colleagues was good at getting things done, not at making it fun. Sobering feedback. Andy Baldacci: How did you handle that? Once when you got that feedback, what did you do to change? [00:06:00] We’ve had some cases where people have had some setbacks in their lives and I have a process for that, which is I’ll stop by the farmer’s market and pick up a really nice bouquet. I’ve got a set of $1.99 vases from the thrift shop, stocked up on those, and I drop off flowers. It shows that I care as their manager and shows that as an organization we care. That’s a case of … I also have a drawer full of greeting cards, sympathy cards, birthday cards, so on. Ultimately I found a way to kind of mechanically use the competence side to help inform the warmth side. Andy Baldacci: Is that usually the approach you suggest to people? It’s not so much that you either have only one or the other of warmth or competence, and you can never get the other, it’s that one just comes easier, so you need to be deliberate about the other? Is that how you think about it? [00:07:30] One thing you mentioned in the book, and I think it’s directly related to this warmth verse competence question, is you talk about balancing productivity with morale and striking that balance without either … You don’t want to be pushing too hard and only focus on getting results above anything else because you do also want to make sure that people feel cared about, feel happy. They want to show up to their job every day. How do you strike that balance as a manager? [00:08:30] A starting place is to have clear goals for your team. When you have clear goals about where you’re going and beyond that, that also get into your value, how you operate as an organization, people have a clearer idea of where you’re going. They can make better decisions day to day without you having to be involved in a micromanager way. They can make better decisions on their own and bring you in when things need to escalate. As a result, that helps on the productivity side. If people know where they’re going, they can be productive, whereas if people have no idea what’s going on, they’re going to be sitting there at their desk making up what to do because they don’t know. Certainly from a morale perspective, when people know where they’re going, you can celebrate when people hit goals. [00:09:30] For instance, in my marketing association, I have a team of ultimately about 15 direct reports and a total of nearly 100 volunteers total across various pieces of the group. We have a volunteer of the month award and then also as president, I have what I call the lantern award. It’s an antique railroad lantern from the early 20th century. I’ll give that each month to people who are best living the values of the organization. It’s an opportunity to call out people who are performing well. Ultimately, that reinforces productivity, but it’s good for morale for them, the recipient each month, and also for the rest of the team. Part of that process, by the way, with the lantern award is that each recipient writes an inspirational quote on the lantern itself in a Sharpie and then reads their quote at the next monthly meeting for the team. Reinforces people practicing the values. [00:10:00] Mm-hmm (affirmative). I think this gives us a good idea of sort of the struggles that many people in agencies go through when coming into a management role or when it’s just they realize they’re in one and they need to start being more deliberate about the process. In the book, you split it up into how to become an effective manager, you split it up into five different parts. Do you want to work through those? Andy Baldacci: The first one that you mentioned was attitude and acceptance. Can you speak to that? [00:11:00] Managing is a lot easier when you understand what your job is. There’s often on the acceptance side, there’s often the sense when people get promoted … Say you’ve been a designer and you are now a creative director. If you’re a creative director, you’re doing way less design or if you came on the writing side, way less writing than in the past because you’re now managing people. Your job is to get the best possible results from your team rather than do all the work yourself. That could lead to a feeling of a sense of loss. You may go through the grieving process in the sense that you don’t get to spend all day in illustrator or Photoshop or your word processor anymore. That’s the acceptance piece, realizing that when you’re a manager, your job is now to get results through other people and to help them reach their full potential, get their best work done. Andy Baldacci: Even if this wasn’t the role you originally signed up for or wanted, you’re accepting that this is what the role is now? [00:12:00] Exactly. That I think is more of a formal process when you get promoted when you’re an employee of somewhere else in the sense that your boss is saying, “We want to promote you to do this. Do you want it?” You have the option to choose it or not, whereas when you’re running an agency, especially if you are an accidental agency owner or leader, you kind of stumbled into it. At this point, it’s not just doing the subject matter work that you did before whether it’s marketing strategy or development or sign or writing or PR. Now you are running the business and you’re having to make sure everything gets done, handle client service, handle sales, handle recruiting, handle firing people sometimes, even buying the toilet paper or making sure someone bought the toilet paper. [00:12:30] That’s true. That’s something that as accidental agency owners, when they look around and realize that they have built a team and their role has changed, they don’t necessarily have the option of immediately saying, “This isn’t what I wanted.” I think this is why it’s important for agency owners of any size to try to ask themselves these questions of what do they want earlier on so that they don’t just accidentally create circumstances that they later on can’t change. If you don’t want to ever manage people, that’s okay, but you probably shouldn’t build an agency. [00:13:30] If you are running a business, you are going to be managing people to some extent by definition. Occasionally I get inquiries from potential clients asking, “I’ve got my agency. I want to get myself out of all day to day, but really I’d like to work four hours a week.” My response to that is, “I don’t really know any agency owners who are working only four hours a week, but if they did, that would be because they’re paying a six figure salary to a general manager to run everything.” If you’ve got the money, go for it. You can now be the chair person of your agency. There is not a magic solution. [00:14:00] Mm-hmm (affirmative). I think that’s important to accept and try to remove some of that kind of accidental attitude and just being a little bit more deliberate and accepting and recognizing how roles can change as your agency grows, as your teams grows, as your focus changes, any of those types of things. For the next part, you mentioned it a bit earlier on. You talked about creating the best employee. Can you speak about the coaching and development part of being a manager? [00:15:00] Your job as a manager is to get results through other people, and that ultimately means having your team be as productive and happy as possible, within reason of course. When it comes to hiring, there are two general strategies for hiring. One is to hire junior people, develop them so that you’ve got mid experience and then very experienced people later. That takes a lot of time. It’s cheap up front but it takes a lot of time. The alternative is to instead of growing talent it’s to steal it as it were. That is, to hire people that have experience somewhere else. Either can work as a strategy, but ultimately if people have experience or skills that you need, but they don’t have them yet, in that case you’re going to have to help them get there. Andy Baldacci: How do you recommend helping them get there? Is it just … I don’t know. I guess the simplest way to ask is how do you recommend helping them get there? [00:16:30] Start by identifying where you want them to be and then assess what the gaps are. For instance, maybe you’ve got someone who is an art director and you want to promote them to eventually become a creative director. It depends on the size of your agency, but as a creative director, you know that they’re going to be doing a variety of things. One is they’re managing junior creatives. There’s a management piece. Another piece is typically creative directors are selling the strategy to clients to some degree. Thinking the traditional example would be Don Draper in Mad Men, the TV show, whereas the creative director, maybe his underlings have developed the overall strategy, but it’s his job to persuade the clients to sign on. There may be some other pieces as well, but let’s say your art director doesn’t have management experience and they don’t have presentation experience. Great, you can fix that. For instance, maybe you want to put them in charge of overseeing some or all of your freelancers. They’re going to pick up management experience in less of a critical way than if suddenly they’re managing full time people. Andy Baldacci: You’re saying test, make smaller tests that if they do fail, it’s not going to cause any lasting repercussions that you can’t really recover from. [00:17:00] Exactly. When it comes to speaking, for instance, say if they need to improve their presentation skills, there’s certainly a lot of components to that, but I would start by sending them to a presentation training so that they can get some of the basics down. Then find way for them to be increasingly involved in client pitches and client presentations. They don’t need to start with the whole presentation, but maybe there’s a particular component. Then you can use that as sort of a ride along situation. You can share coaching feedback afterwards about what worked, what didn’t work, and what they could do differently next time. Andy Baldacci: Do you think someone can be a successful manager if they don’t enjoy coaching and training others? [00:18:00] I think they can be a successful manager to a point, but they’re probably going to hate coming to work every day. I don’t think that’s sustainable. If you’re in a situation where you’ve realized the managing people just is not for you, you need to find a way to get yourself in a position where you’re not managing. Running an agency may not be the right fit or you may have a circumstance where you’ve got a business partner who is good at that and enjoys that. In that case, perhaps you should be doing more of the back office activities. [00:18:30] Mm-hmm (affirmative). Especially, I feel like you’re spot on with that, and it all stems back to what you’re talking about a little bit ago about the level of experience that you hire for. If maybe it’s not all of managing that is a problem for you, but it’s really just investing all of that time into training development, that could be where it makes sense to hire more experienced people. Like you said, there is still going to always be some level of coaching development needed though. It’s going to be tough to find that balance if it’s not something that you truly enjoy doing. Andy Baldacci: One thing that is always, not necessarily a hot button issue, but I know that people just resist when it comes to managing, especially creatives, is the shift of now, all right we have to have meetings. We need to have all this extra communication. We have to do so much more stuff that’s not directly related to doing the work. How do you recommend managers approach the meetings and communication aspect of management? [00:20:30] A couple things to consider. First, occasionally I’ll have people say, “I was in meetings all day. I didn’t have any time to get any work done.” Well, if you’re a manager, meetings are part of your job. If you’re in a meeting, you are doing your job. There’s a bit of a reset there. It’s also worth considering that as a manager, you’re typically the person leading or organizing or facilitating in some way the meeting, which is an enormous amount of power and also a great opportunity. We’ve all been to meeting that were terrible. Whether or not we had a buzz word bingo sheet, hearing people saying, “Synergy” too many times, things like that … When you’re running the meeting, you have an opportunity to improve the quality of life of everyone else on your team. That requires doing some planning and that requires working harder before the meeting to make it better for everyone else. If you think about it, agencies have an inventory, and the inventory is their team’s time. Whether clients pay for … let me start that over again. 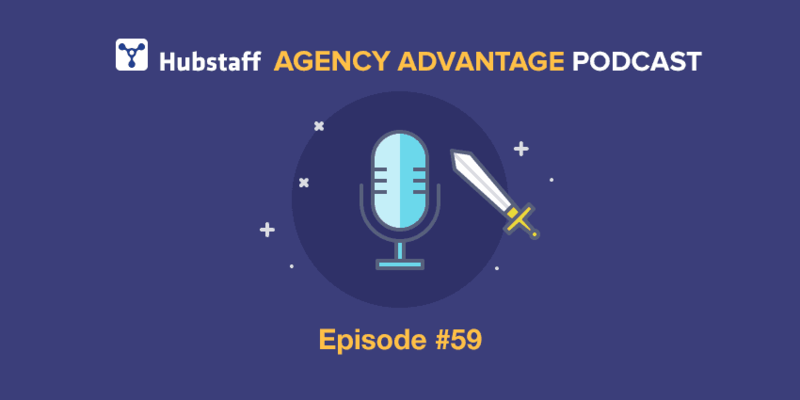 [00:21:30] For every agency, regardless of how they price, that is they could price on an hourly basis, they could price on a milestone basis or a value basis, ultimately every agency’s inventory is their team’s time. The better you can be from an efficiency perspective with your team’s time, the better off your agency will be financially and morale wise. If you’ve got a meeting that lasts two hours and it should have only been an hour, you just wasted everyone’s time, but importantly that’s an extra hour per person that they could have been billing out to clients, assuming this was an internal meeting. Plan ahead, make the meetings as effective as possible. That also includes finding ways to make things happen outside of the meetings. If you’ve ever been in a meeting where you’ve got a bunch of people and two people in the meeting effectively having what is a two person conversation in front of 20 other people, the person leading the meeting needs to say, “That’s a great topic, why don’t you cover that offline?” Every minute they’re spending, that’s a minute that everyone else is losing that they don’t need to be there. [00:23:00] The other piece is having an agenda for every meeting. That seems simple, but if you go to a meeting without an agenda, unless everyone happens to be extremely clear on what needs to happen, you’re likely to waste time. There are times that it’s okay for a meeting to meander. If you’re at the beginning of the meeting and you’re doing the sort of socializing, catching up piece, that’s fine if people are spending time on that. Eventually you need to draw it toward the more productivity side of the meeting. Ultimately, it’s about making intentional choices during the meeting. You want to avoid a situation … You may have seen the novelty ribbon online. It’s a blue ribbon for a prize ribbon, and the ribbon says, “I survived another meeting that should have been an email.” If you’ve got info at the meeting, don’t waste time in the meeting going around saying, “Here’s my update on this. Here’s so and so’s update on this.” No. Everyone should write it down ahead of time in a document that everyone reads and then talk about questions and actionables, not the update itself. Andy Baldacci: If you can get the information outside of the meeting, do so, so that you can come into the meeting as prepared as possible because like you said, it’s not just a couple people in the meeting. It’s an entire team often times and when one person’s talking, everyone else is still sitting there listening and it’s not actually contributing anything, it’s costing the company. There’s a big opportunity cost there. Andy Baldacci: How do you think about communicating outside of meetings? How, for more day to day type of work … I feel like managers often can go one way or the other where they micromanage on one end and the other is they just leave employees entirely to their own devices. Obviously some balance is ideal, but how do you try to strike that balance? [00:25:00] You want to modulate that based on each person’s experience doing what you’ve asked them to do. If it’s something they’ve never done before, it probably makes sense to have more check-ins along the way whereas if it’s something that they’re doing every month and they’ve been doing it for three years, you probably don’t need quite that same level of oversight. To the point about avoiding micromanaging, no one likes being micromanaged. I guess some people like doing the micromanaging, but I will say especially if you’re a reluctant manager, you may feel like, “I assigned it to them, but I don’t want to check in with them because that’s going to come across as micromanagement.” It’s okay to have pre-scheduled check-ins. Say someone is working on a month long project, it probably makes sense, and it’s something fairly new, it probably makes sense to have a check-in one week in. Maybe another check-in three weeks in. Finally, review the final result. That way you have an opportunity early on to help them if they’re getting off track and then finally if something isn’t quite aligned toward the end, then they’ve still got a week to fix it. [00:26:00] With these meeting’s communication tool, I think this idea of how to approach is helps and gives people a framework of, “This is what is important. This is what we need to do,” because so often you’ll see people who come into a management role, they just go too far in the other direction like we said. They hate the meetings, they hate these things, so they do away with the majority of it and that’s not good. I think you’ve given people a lot of suggestions on how to find that balance, how to make sure people are able to get things done while still having enough communication to solve any issues, prevent any fires from getting started, all of that. The next part that I want to talk about is that’s motivation and accountability. This, I feel like, is a bit less rigid. This is a softer topic. How do you approach this as a manager to make sure that your team is both motivated, but that you also are able to hold them accountable when necessary? Karl Sakas: Let me reflect on that for a moment. Andy Baldacci: That might have been awkwardly worded. It was awkwardly worded. Karl Sakas: If you don’t mind rephrasing and then I’ll try again. [00:26:30] Let me just ask you this. I’ll edit all of this out. What do you think a good way to set up the motivation and accountability section is? Karl Sakas: Maybe the idea that you can have all of these structures in place, but ultimately how do you keep people, how do you keep people happy and productive? Andy Baldacci: All right. Let me reset my brain with a quick sip of water. [00:27:00] Having all these structures helps make people, it helps the team be more productive because you don’t have too many meetings that get in the way of work, but you don’t have too little communication that you have no idea what’s going on and things fall through the cracks and kind of just all hell breaks loose. This gives it the structure, but how do you go from there to make sure the work actually gets done and both from the motivation standpoint that the people want to do the work and are willing to do the work, and from the accountability standpoint that it’s actually done and done to the standards that you require? [00:29:30] I had a few clients who took one month sabbaticals last year. Even if it’s just going on vacation for a week, you need to make yourself needed but not necessary so you can step away. That includes finding opportunities to help your team members, help your employees get better at their job. A lot of times, if you’re a manager, you know how to do the work faster than your employees. That’s not always true. Eventually, they should be much better at it than you are, but at least initially. Yet, there’s often a reluctance, I’ve found, where managers are thinking, “Well I don’t have time to train them how to do that. It’ll take longer than if I just did it.” That’s true the first time. The first time you explain it, yes, it is going to take longer, but if your goal is to make yourself needed but not necessary, take the time, invest the time to get them trained and then they’re going to do it every time after that. You don’t have to be involved or you’re way less involved than if you’re doing it yourself. Andy Baldacci: The time savings are compounded. Andy Baldacci: How much time did it actually take you to do? [00:32:00] Not long. We’re going to say five minutes to write the note, look up what her mailing address was, have some stamps handy so you can stamp it, and then I just dropped it off on my way to somewhere else. It took very little time, yet it made a huge impact for her. I think if someone, for people who are listening and they’re like, “Management, I have to do it.” When you’re a manager, you have a unique opportunity to improve or worsen the lives of everyone working for you. If you think about your best manager over the years … I think one of my best managers was focused on helping everyone be the best they could be, recognizing maybe that meant them going to work for another agency. That was okay. That focus on helping people and putting others first really stands out. That’s great for loyalty. It’s great for productivity. Keep in mind that you have opportunities every day to make life easier for your team. It’s harder than being a mediocre manager. It’s harder to be a good or a great manager, but the payoff is worth it. Andy Baldacci: It’s that extra effort to be good or great rather than mediocre. In my opinion, it’s going to pay a disproportionate return just by putting in, like you said, those extra five minutes there for those notes. Those types of extra efforts really do significantly pay off if you can consistently make them. Andy Baldacci: It’s like if you’re already doing the minimum, just do a little bit more and you’re just going to get such a better result in the end. Karl Sakas: If you were to do one thing, go to Amazon and order a box or two of thank you notes. It’s going to take you three minutes right now. It’d be less if you have one click ordering enabled. The cards are going to arrive and then boom, the next time you think of a chance to thank someone, now there’s nothing stopping you but yourself. [00:33:30] I think that covers a lot of the motivation side of things. I think having the deadlines and having all that, having some structure also gives a framework for accountability, but if someone is consistently not performing, even if you’re doing your best to coach, even if you’re doing your best to help develop them, how do you handle a situation when it’s clear that something needs to change? [00:34:30] That’s where a performance improvement plan, or PIP, comes in. That is you’re laying out, “Here are the concerns. Here is how it’s negatively impacting the company and here’s what I need you to do.” You probably want to … Let me restart that. You want to warn people verbally first if someone’s not doing what you need. A formal PIP, performance improvement plan, is an escalation after your verbal or perhaps email warnings have not worked. Ultimately, the point is you need to take action. If someone’s not doing what you need them to do, you’ve got to call it out, because they’re not going to change it unless you call it out and explain what you need instead. A PIP gives you a formal framework for that. [00:35:00] I have a PIP template available for download on my website. I can share a link to that for the show notes. Ultimately, the point is you do need to take action. Sometimes people turn it around. Other times, people realize themselves, you know what, they don’t want to do the work it’s going to take or they may not be ready to turn around and they choose to resign. Sometimes, people try and it’s just not working and in that case you may eventually need to fire them. [00:35:30] I would see it as part of the escalation process. If you’ve done verbal comments and they haven’t reacted to those, and then you’ve emailed a couple times and they haven’t reacted to those, at that point they don’t seem to get how important it is to fix this, and that’s where the PIP comes in. Andy Baldacci: It’s when you’ve done your best to make it clear, not just the severity of the issue, but also how to improve it and that hasn’t changed, the PIP comes in and makes it very, very clear and spells everything out. [00:36:30] Honestly, you’ve given us a ton to think about as managers, as agency owners, these management things, like you said, if you don’t properly manage your team, they’re not going to stick around because the manager does have a huge role in not just the success of the business, but in people’s lives and how happy they are. If someone just dreads coming into work every day, they’re not going to keep coming into work. How do we put all this together as an agency owner and start applying this in our own agency? [00:37:30] Certainly I would encourage them to buy the “Made to Lead” book, “Pocket Guide to Managing Marketing & Creative Teams.” It literally is a pocket guide. It will fit in your pocket. It’s four by seven inches if you’re on American measurement systems. I’ve had people say they’ve read it in 20 or 30 minutes. It is short. It is bite sized. It’s 31 tips, each of them fitting on one page, plus some things to tie things together. It works as a reference. You can read it really fast and then you can go back to it as you need it. That’s certainly a starting point. I’d also encourage them to sign up for my newsletter for agency leaders. If you’re thinking about what’s one thing you could do right now, I would say think about what you’ve heard on the podcast today. Think about one of the tips and whether it’s a tip that we’ve discussed or it’s prompted thinking of something else that we didn’t cover directly, think of that one thing and make a commitment right now. I would encourage you to write it down. Make your commitment that in the next week, you will apply that change. Andy Baldacci: Mm-hmm (affirmative). A lot of this seems to be sparked by that original 360 degree feedback session that you had. Do you recommend to your clients that that is a valuable tool for them to learn what to prioritize and what needs improvement? [00:39:30] That response and that range of responses is very telling. Often times people are like, “Really confident.” Sometimes it’s, “They hired you to do this, so we’re pretty confident.” Other times, people will say, “I don’t know. The things I’m sharing are things that I’ve told them before and they haven’t acted on it. I don’t know why they’d change now.” Only ask for feedback if you’re willing to consider it and then act on it. [00:40:00] I think that all ties back to what you were talking about before. Regardless of the way you get the feedback, find something that is really pressing. Find something, a piece of advice that you’ve given today in the book, in the podcast, whatever, and find something and just get started with it. I know for me personally a lot of people I work with, it’s very difficult to just try to say, “All right. I’m going to change everything about the way I manage my team starting today and try to implement a dozen different tools, tactics, whatever.” Picking one, ideally, one of the more pressing issues and just focusing on that until you get it down before going to the next step is just, in my opinion, a better, more consistent path to actually achieving success rather than burning out in a month and going back to how you already were. [00:41:00] I think that’s part of the reason why New Year’s resolutions typically do not work. People try to make an enormous change that requires really multiple habit changes and expect that it’s going to work right away. It does work for some people, but not for many. One way to get there, is a tool I’ve created called an advance retrospective. That’s where you write about the future as if it’s already happened. The nice thing about that tool, and I can share a link for the show notes, is you can work backwards from there and figure out what it’s going to take to get there. [00:41:30] That’s the thing is that so many people, their goals are just that ultimate end goal without considering all the steps that need to be taken along the way. Sometimes through just sheer will power, you can make some good strides, but it’s just so much to do at once that it’s very likely to fail. When you can break it down into individual steps and say, “All right. This is what I’m focusing on now. Once I have this down, it’s the next step and the next step and so on,” it just drastically increases your chance of success. Andy Baldacci: I’ll make sure to get that linked up in the show notes. Before we say goodbye, I like to ask all of my guests a few rapid fire questions. I’m going to ask the questions quickly, but your responses don’t need to be short. The first one is just what do you spend too much time doing? Karl Sakas: I apparently spend too much time thinking. Andy Baldacci: What do you think you don’t spend enough time doing? Is there something in your business that you feel like you’ve neglected or that you need to put more resources behind? Karl Sakas: Separate from my business, I could benefit from working out more. That’s definitely not a fun activity for me. I admire the people who just love going to the gym. I’ve never quite identified the supposed runner’s high. Andy Baldacci: We actually, it’s funny, I was just as Disney for their half marathon with my girlfriend and her friends. I am not the runner in the couple. They were all trying to get me to sign up for next year. They were talking about how great it feels. I was like, “No, I’ve run before. I don’t enjoy it. I wish I did.” I’m right there with you on that one. Andy Baldacci: It’s something though. I think that’s important, especially with fitness. Honestly, to tie it back into managing and all of these things, not every single solution as written out by somebody is going to work for you. Let’s understand the principles and finding what does work for you and adapting it to your circumstances. Andy Baldacci: The last question is just what does the next year look for Sakas and Company? Karl Sakas: I’m looking forward to helping more clients. At this point, I’ve worked with over 200 agencies in 25 countries on six continents. I do not have any clients in Antarctica. Andy Baldacci: There’s got to be something down there. Maybe some scientists are doing something together as an agency. [00:44:00] As soon as the penguins start an agency, I will be there to advise them on making better decisions. Certainly that they should get paid in cash, not in fish. [00:44:30] One of the things that I’m doing from a speaking perspective, I do a lot of public speaking, focusing my speaking on events that are specifically tailored to agency audiences. I’ve done a lot of speaking this year to a mix of agency and non-agency audiences. We’ll still do some of those mixed audience events, but ultimately focusing on national agency level conferences, help the word out and hopefully make life easier for agency owners wherever they are. Andy Baldacci: Interesting. I want listeners to know about the book obviously. We’ve talked about that. It’s “Made to Lead.” It’s on Amazon. I think it’s five dollars. How much is it right now, do you know? Karl Sakas: $4.95, U.S. dollars. [00:45:00] I spend five dollars on way worse things than an educational book. This is a great buy. It’s a quick read and it’s [inaudible 00:45:02]. Beyond the book though, Karl, if people do want to hear more from you about how they can improve their agency, where is the best place for them to do that? Andy Baldacci: Awesome. Just for listeners so that they’re aware, it’s S-A-K-A-S and company dot com. I’m going to get all those resources you mentioned linked up in the show notes. Karl, I just want to say thanks so much for coming on the show today. I really appreciate it. Karl Sakas: Great to be here. I know we discussed a potential give away. Glad to help with that. Andy Baldacci: We did. I’m going to make this edit up so that it sounds like we didn’t forget about that. Andy Baldacci: Makes the most sense? Karl Sakas: Yes, then close out from there. Sounds good. [00:47:30] Karl, we’ve been talking a ton about “Made to Lead,” your book, your pocket guide. Honestly, I got it right when I saw it. It was out there. There’s great stuff in there. You covered a lot of it today, but it’s really great to just have on hand and to go into some of the things that we didn’t talk about. Before the show, we talked about a potential give away for this book. Do you want to speak to that? Karl Sakas: Absolutely. I will send a free copy of “Made to Lead” to you wherever you are in the world, even if you are in the Antarctica, I will figure out how to get it to you. Andy Baldacci: Especially if they’re there. [00:48:00] Yes. I especially want to hear from you. How about this? Let’s say that making a comment on the blog post tied into today’s episode, if you want a random commenter, get them my, coordinate contact info, I will send you a copy of the book free of charge wherever you are in the world. [00:48:30] Awesome. That’s so generous of you, Karl. I really do hope it’s someone from Antarctica so we can check that last little box from you. If people don’t win this, if you don’t win, you can still go to Amazon, pick up the book. I strongly recommendation you do that. There’s a ton of great tid bits in there to help anyone become a more effective manager. The thing before we say goodbye, Karl, you have a ton of other resources out there to help agency owners in all different areas of their business. For people to get access to those resources, to hear more from you, where is the best place for them to go? [00:49:30] I love the title for that. Just so listeners are aware, it’s S-A-K-A-S and company dot com. Karl, thank you so much for the time today. I’m going to make sure to get all of those resources linked up in the show notes for everybody. Again, I just want to say thanks for coming on the show. It was a lot of fun chatting. Karl Sakas: Andy, great to be here. Thanks. Leave a comment below and share your biggest takeaway from the show. On February 1st, 2017, we will randomly pick a commenter to receive a free copy of Made to Lead: A Pocket Guide to Managing Marketing & Creative Teams. We’ll ship it to wherever you are in the world.